When it comes to Amen, Pawar-LaRosa, the owner and founder of Pawar Inc., is all about connecting on a personal level. Straight away, this wedding coordinator shares some facts about herself so couples will be able to feel comfortable sharing stories with her. This is not even mentioning her love of romance and how she has a unique ability to bring your love story to life on your special day. Amongst Miami wedding planners, Pawar Inc. stands out as a standard of quality that many other planning companies do not reach. Although Jackie Farah Fernandez, the genius behind Jackie Ohh Events, is a creative woman she is first and foremost a certified logistical master. On your wedding day you could not ask for more than a planner who will make every tiny detail come together in perfect harmony and make it look effortless at the same time. Whether you need assistance planning a destination wedding or you are having a ceremony in your own backyard, Jackie Ohh Events is there to work through your checklist and make sure everything goes according to plan. The first impression of Liz & Lex Events comes from their numerous awards from various national publications and from the reviews by their past clients. 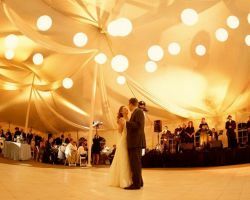 Each and every one highly praises the top quality of the event, party or wedding that these planners organized. To be able to give you a clearer idea of what services they offer, Liz & Lex Events asks every couple to contact them so they can arrange a first consultation. At this meeting you will see immediately that you are in the best hands in whole of Florida. Diana Marie Events is open for marriage equality beliefs and plans for Gay Weddings (LGBTQ.) See life at its peak, with these wedding packages to choose from at the company: Full Event Consulting and Planning, Partial Event Consulting and Planning, Day Of Coordination and Management, Hourly Consulting, Customized Package and, lastly, Floral, Decor and Linens Package. Diana Marie Events is a wedding consultant and a local company that can arrange events as a product of the brilliant minds by its team. Additional wedding services are rentals, flower arrangements, photo booths, wine bar and invitations. While, other parties are Bar and Bat Mitzvahs, Quinceañeras, Reunions, Trade Shows, other social galas and corporate events. As suggested by their name, Luxurious Events deals only with the most sophisticated affairs in which every aspect is of the finest details. 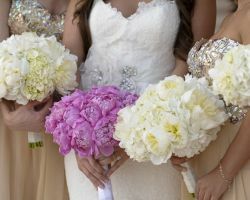 Having been distinguished by many publications for their impeccable work, this is the only wedding planner in Miami, FL, that will provide exquisite service that also remains on budget. 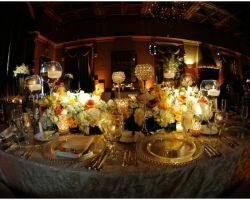 Due to their hard-earned reputation, Luxurious Events has great connections with many local vendors and are able to find a huge array of amazing deals and fantastic quality work. No matter how they organize your wedding you will feel like a celebrity. 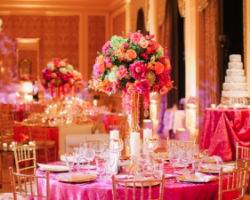 As they specialize in all-inclusive event planning services, Parties by Lyn, Inc. are for the couple that wants the ceremony and night to remember. You will be able to request a quote from this planning company for your very own dedicated organizer and wedding consultant who will take care of every aspect of your wedding day. The expert team keep couples as involved as they would like to be, so whether you want to sit back and relax or plan alongside, Parties by Lyn, Inc. will fit into your schedule and style.